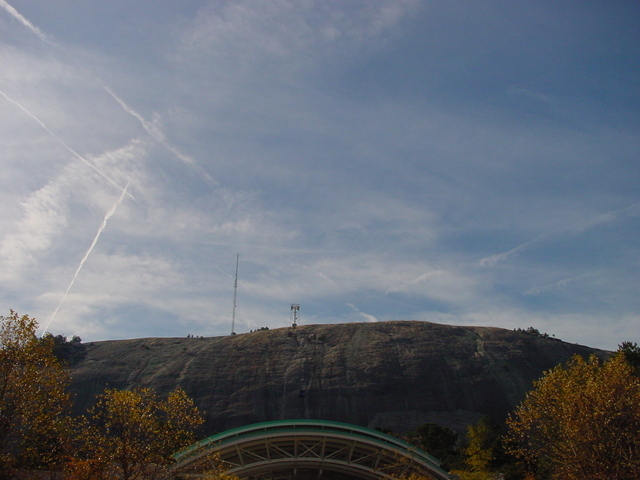 Our first stop was at Stone Mountain Park, site of a large outcropping of rock just off the US 278 freeway west of Atlanta. Georgia Public Television's WGTV (8 Athena) has been located here for quite some time, and in recent times was briefly joined by city-owned NPR outlet WABE (90.1 Atlanta). WABE was never happy with the coverage from out here and returned to their original east-side transmitter site, well within the city limits.